The Rehabilitation Counseling program in the College of Education’s Department of Special Education, Rehabilitation and Counseling has just been awarded a long-term training grant from the Rehabilitation Services Administration (RSA) to increase the number of Vocational Rehabilitation counselors. These counselors will fill unmet needs in state, private, and not-for-profit rehabilitation systems. The grant will provide Auburn with $1 million over the course of five years. 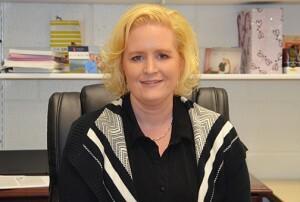 The project’s Primary Investigator is Dr. Jill Meyer. Meyer said the Department has a long history of winning RSA awards to provide counselor education in rehabilitation. Auburn University’s Rehabilitation Counseling graduate programs are widely considered to be among the best in the country. – develop within rehabilitation counselors the ability to leverage resources that benefit consumers and their families. Meyer’s own interest in rehabilitation came from her personal experiences. She has a few family members with a disability, and her mother always demonstrated good examples of inclusion and acceptance of others. The two-year full-time program will entail 63 semester hours. Although a few of the students are already on campus, Meyer said the majority of the scholars will begin classes in January.